We are very fortunate to be the custodians of a Georgian pipe organ built by William Gray in 1813. William Gray (1757-1821) joined his brother Robert’s organ building business circa 1784. They were based in London on Euston Road. Robert died in 1796 and William carried on the business working under his own name of William Gray. He was later joined by his son John, who carried on the business after William’s death in 1821. John Gray went into partnership with his son-in-law Frederick Davison and the company became known as Gray & Davison. The business continued until 1975. 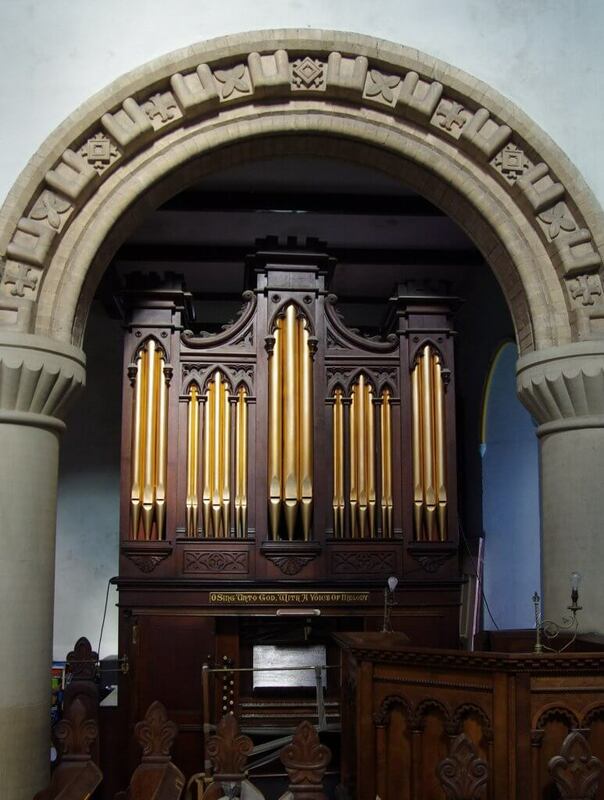 The organ was built for St. Mary’s Parish Church, Welshpool presented by the 2nd Earl of Powis. In 1884 the organ was moved to Christ Church when St. Mary’s had a new organ paid for by the 3rd Earl of Powis. 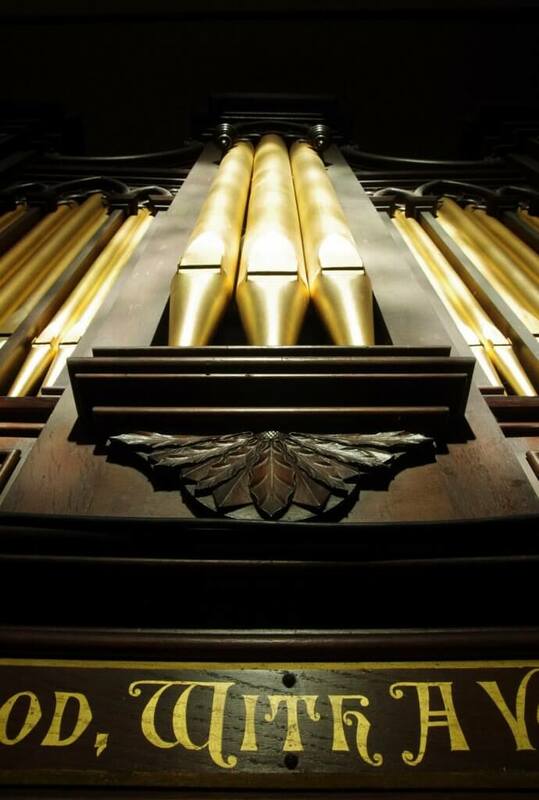 The British Institute of Organ Studies have listed the organ as an instrument of historic national importance. The listing can be seen here. Inside the organ is a maze of levers, rods, pipes and boxes. The more we get to understand and explore it’s inner workings the more we are in awe of the quality of William Gray’s craftsmanship. 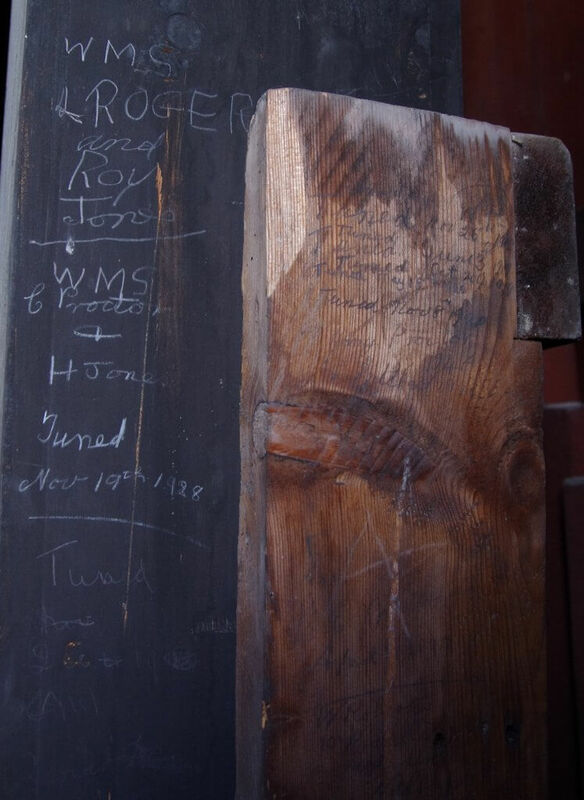 Out of public view on the side of the organ some of the beams and pipes are inscribed with pencil signatures of the names and dates of previous organ tuners over the past 100 years. As custodians of this wonderful historic instrument, we would like to preserve, maintain and use it. It has been virtually silent for nearly 20 years. It is our aim to get the organ fully tuned and playable to concert standard so that it can fill Christ Church with music again! News about the organ can be seen in our Journal here.